In the Caches tab, we can clear some or all caches. Clearing caches may be needed if you manually change database and want to refresh application cache. 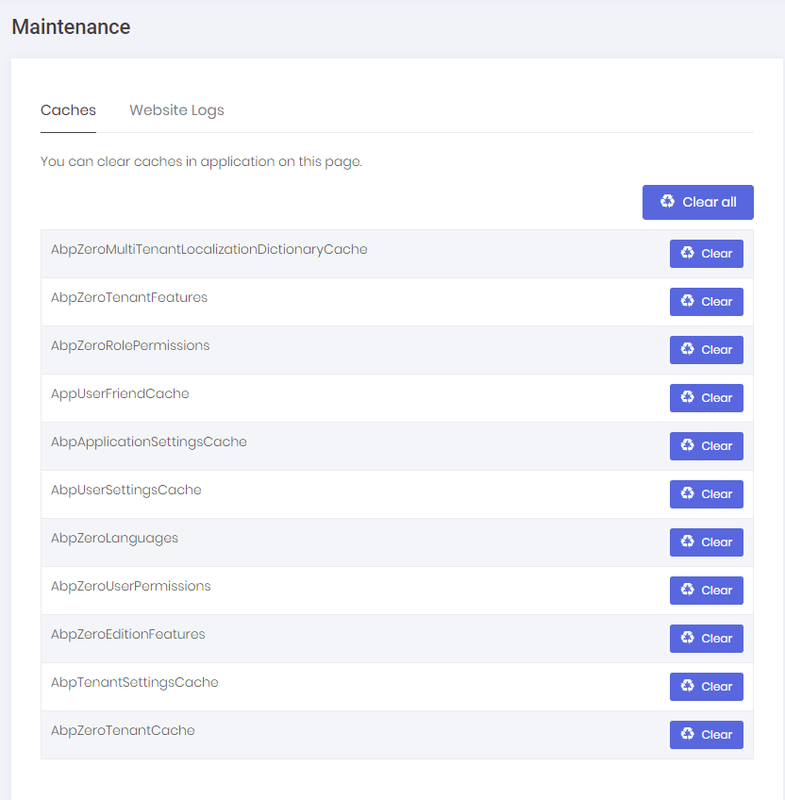 CachingAppService is used to clear caches in the server side. 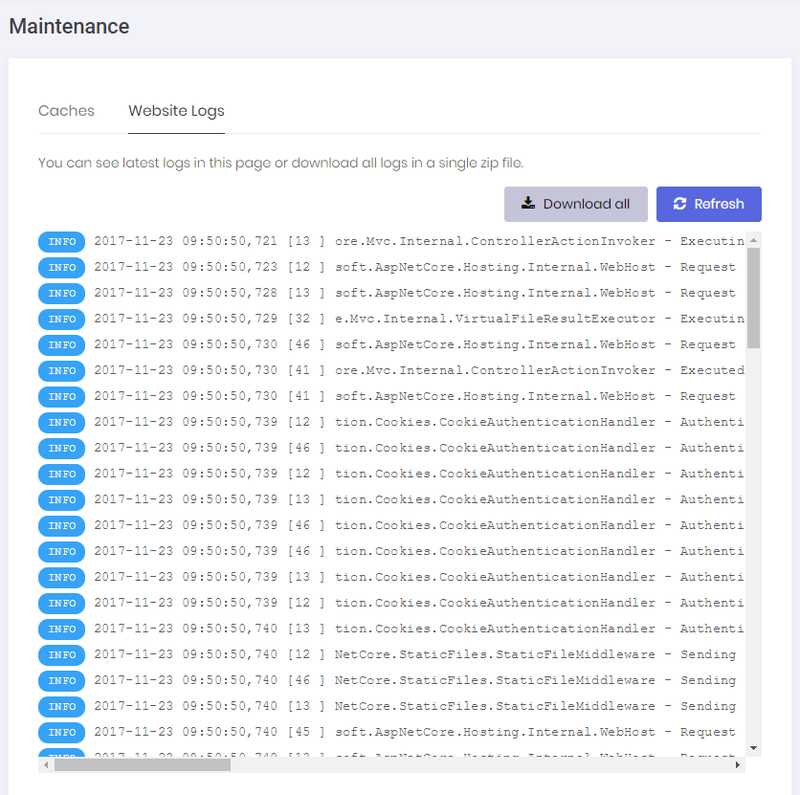 WebLogAppService is used to get logs from server.